Shop our professional grade wall mounting basketball hoop systems. 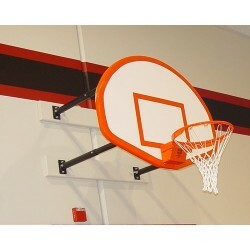 Our backstops attach to the wall and extend out into play area. Free Shipping on all orders! 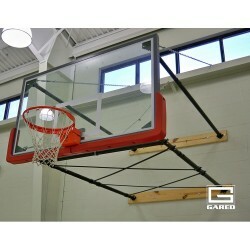 GARED’s Three-Point Wall Mount System provides the strongest wall mount structure available for facilities with budget constraints. 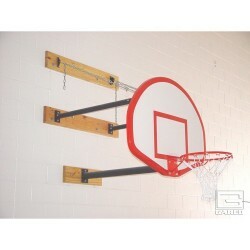 Gared offers a full line of basketball wall mounts to customize your space for an optimal and safe play environment. The Three-Point Stationary Wall Mount system incorporates a direct-goal- attachment that transfers the load of heavy play through the backboard to the structure.